On this 14-day overland camping tour you visit the Masai Mara Game Reserve which is famous for the annual migration of millions of wildebeest, zebra and other game. 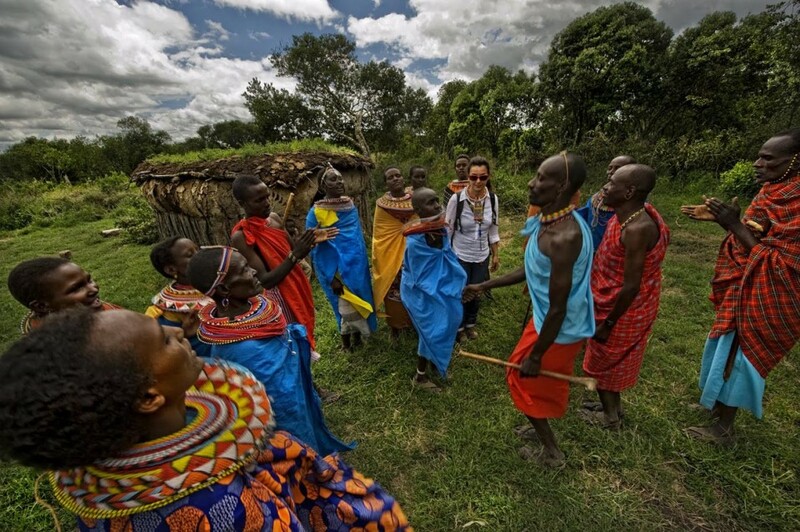 You will also interact with the Masai and see Africa’s most abundant wildlife at Lake Naivasha and in the Lake Nakuru National Park. But the highlight of this tour is definitely the gorilla trekking. You will also visit Jinja considered the source of the Nile and where it begins the 6695km journey to Egypt. The tour ends in Nairobi, the largest city in the East African region. You leave the capital city of Kenya and travel to the Masai Mara Game Reserve. Famous for the annual migration of millions wildebeest, zebras and other hungry beasts, the Masai Mara is also home to many other open plain animals, including lions which follow the migrating herds. 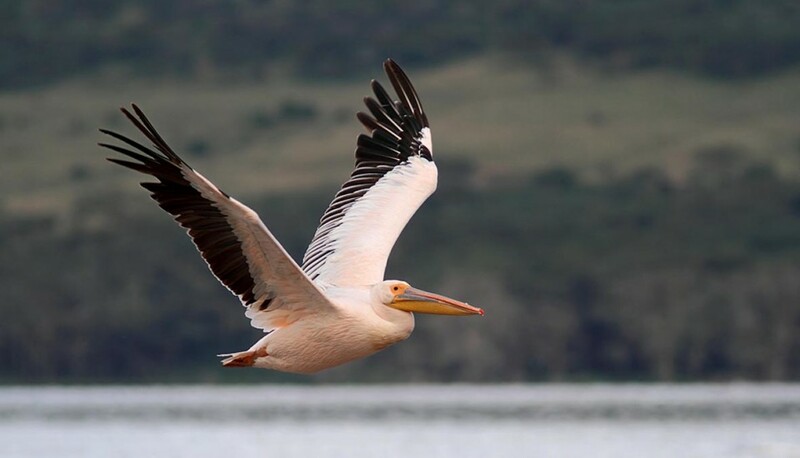 You travel in a northerly direction to Lake Naivasha. The Hell’s Gate National Park was established in 1984 and is named after the narrow break in the volcanic cliffs. Wildlife found here includes lion, cheetah and leopard. Go game viewing by bicycle or to have tea at Elsamere, former home of the Adamsons, lion researchers and creators of Born Free (optional activities, not included in the rate). You travel towards the Lake Nakuru National Park which is a great place to see flamingoes and more than 450 other bird species. Originally created as a bird sanctuary, it was upgraded to national park status in 1968. White rhino lives in the savannah surrounding the lake. Leaving Lake Nakuru you drive to the Ugandan border and stop for a photo at the equator. Later you arrive in Kampala, the capital and largest city of Uganda’s. 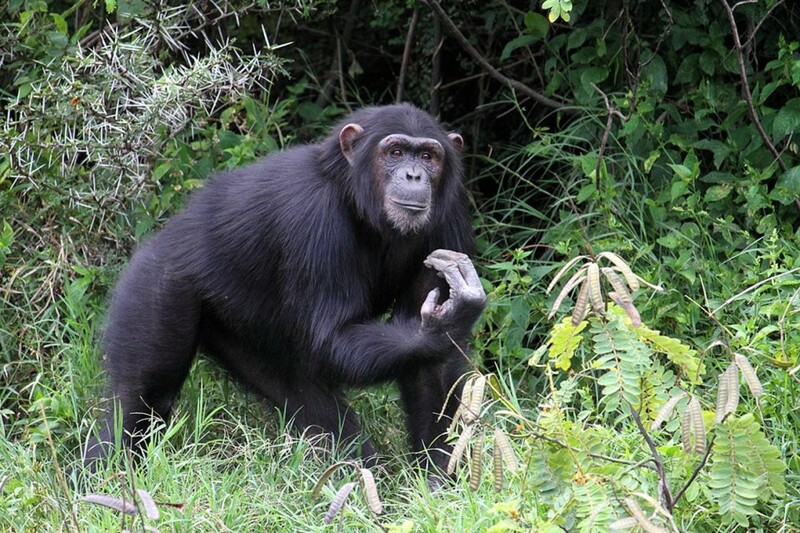 Although officially this day is set aside for everyone to explore the friendly city of Kampala and its markets, most people take an optional day trip to the Ngamba Island Chimpanzee Sanctuary in Lake Victoria. This non-profit eco-friendly project cares for orphaned chimpanzees (optional activity, not included in the rate) and you can observe them during feeding times from a raised walkway. Lake Bunyonyi is a small but picturesque lake which is surrounded by mountains and has an abundant birdlife there are 29 little islands including Punishment Island where unmarried pregnant girls were sent. 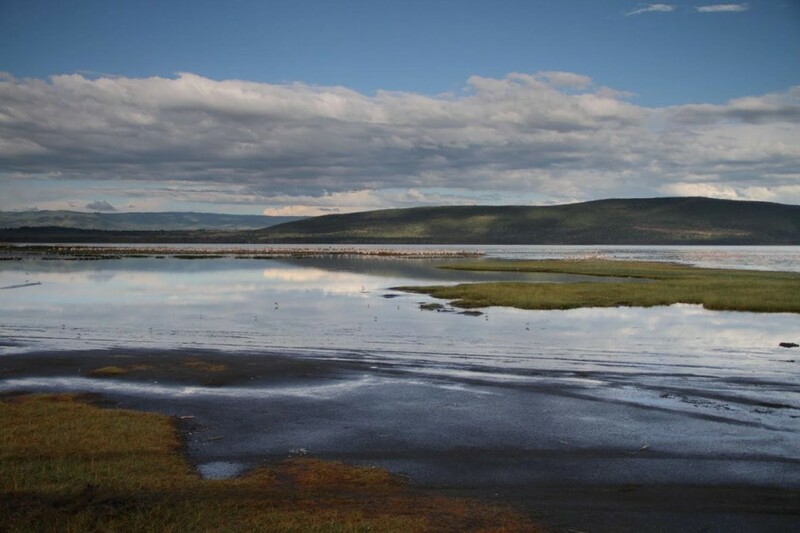 The lake is best known for its otters, water sports, bilharzia-free water and the stunning scenery. The mountain gorilla is extremely endangered and while exact numbers vary, it is widely assumed that there are only around 650 left. Visiting the gorillas is a great way to support their future as the permit costs are used for their protection. As permits to visit the gorillas are extremely limited, you need to be flexible in both the tour itinerary and where in the forest the actually are, as they move between Uganda, Rwanda and the Democratic Republic of the Congo (DRC). Whenever possible we choose to make use of the reserve in Uganda but this depends on the availability of permits. Should permits to visit the mountain gorillas in Uganda not be obtained then you will be informed beforehand that the tour will travel to Rwanda or the DRC. If trekking can’t be done on day 9, you will spend the day at Lake Bunyoni to ensure a shorter drive on day 10. 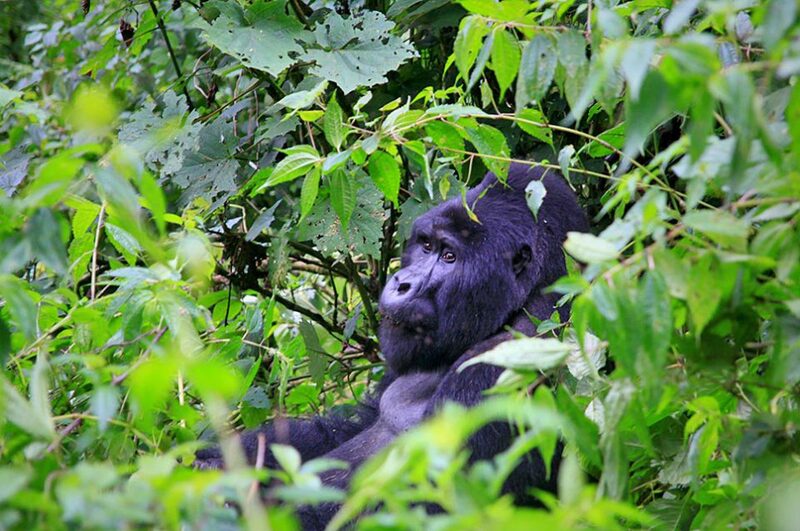 Please note: Although there are three days allocated for gorilla trekking you will only spend one day on the trek. The other days are there to provide enough time to obtain permits and to allow the entire group to visit them if there are more than six guests on the tour. Many species including the giant forest hog, chimpanzee, hippo, elephant and the legendary tree-climbing lions of the Ishasha Sector can be found in this wetland park. 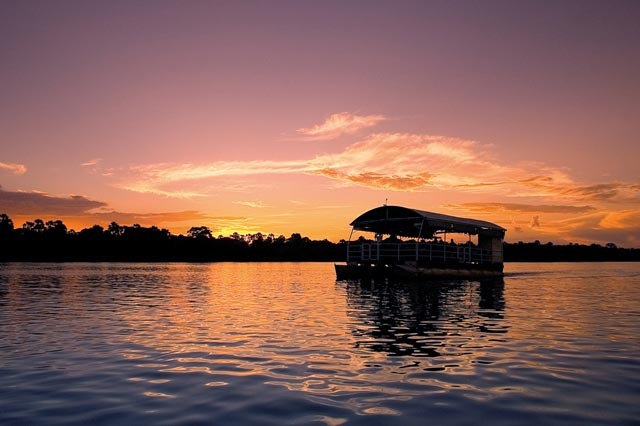 Optionally you can join a Kasinga sunset cruise on the 40m long canal linking Lake Gorge to Lake Edward (optional activity, not included in the rate). The morning is spent game viewing before you travel to Jinja in the afternoon. Jinja is Uganda’s second largest city and the port for Lake Victoria ferries. Attractions here include horse riding, bungee jumping and some of the wildest one-day white water rafting in the world – on the Nile River. Returning to Kenya you visit Eldoret, the country’s fifth largest city at an altitude of 2100m. It was established by South African farmers in 1908 and was initially called ‘Farm 64’. The Great Rift Valley is the dominant geographical feature of this region. You return to Nairobi, the largest city in the East African region and city of contrasts with its colonial hotels and city slums. The tour officially ends upon arrival but most groups spend the last night at a local restaurant (at own expense) to exchange stories and contact details. Although we try everything to conduct the safari according to the itinerary, we would like to point out that participants sometimes need to be flexible should changes based on political or other issues arise. Possible changes and an amended itinerary require travellers to be open-minded and easy-going. Should this not be one of your strengths we would discourage you from taking part in this tour. - 13 nights are spent in spacious 2-man dome tents (2,2 x 2,2m) on campsites with ablution facilities. - For Kenya and Uganda a visa is usually required for all nationalities. - Although you do not need to be extremely sporty, you should be moderately fit as the duration of the trek can be anything between 1 and 8 hours. 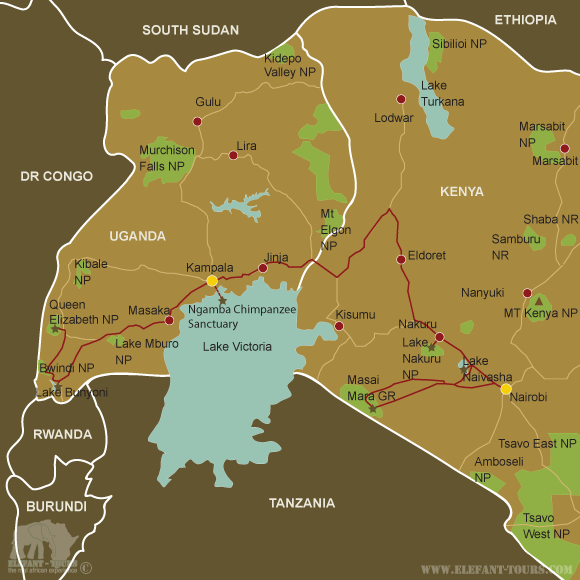 - As Kenya and Uganda are situated within a malaria area, we would recommend some precautions. Please speak to your doctor or travel clinic about the different prophylaxis and their effects and side effects. - On this tour you will be crossing the border within a yellow fever region, which is why proof of vaccination is required.